We offer many different bouquets and arrangements. Hand ties to pop straight into a vase or with a water bubble to help the recipient, traditional flower wraps for those who love to arrange their own flowers, wicker baskets overflowing with fresh and fragrant blooms, posies in floral foam suitable for gifts, sympathy and many other occasions, orchid plants or planted containers – please contact us to see what we have in stock. We are always happy to source particular stems for your special requests and can usually supply within 24 hours. See examples of our bouquets and arrangements below and order by phone or via email. Valentine's Day doesn't have to be all about a bouquet of the most beautifully intense red roses. We really love making the most of the season and offering you some amazing stems that represent something a bit different. You can see some examples of our Valentine's Flowers below, and please call us to discuss other bespoke options. A dozen long-stemmed 'Red Naomi' roses with foliage and wax flower displayed in a gift bag. Single stems and other colours also available. A beautiful mixture of lilies, roses and other seasonal flowers displayed with eucalyptus and gift-wrapped. A collection of stunning pure white roses, fragrant lilies and lisianthus displayed with exotic foliages and gift-wrapped. 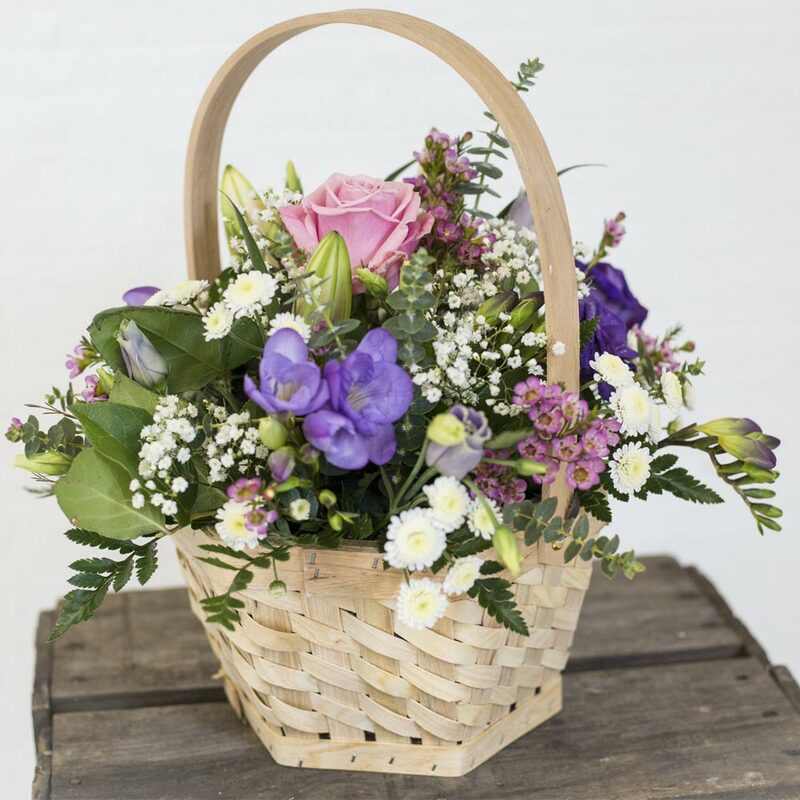 Show your mum just how special she is with a beautiful bouquet. Not long after red roses were all the rage in February, Mother's Day is all about stems that shout 'spring is here.' See some examples of our Mother's Day flowers below consisting of tulips, narcissus, hyacinth, anemones, and freesia. Why not go for something with lilies, roses, lisianthus, gerbera and eucalyptus and other lush foliages?